It has begun. 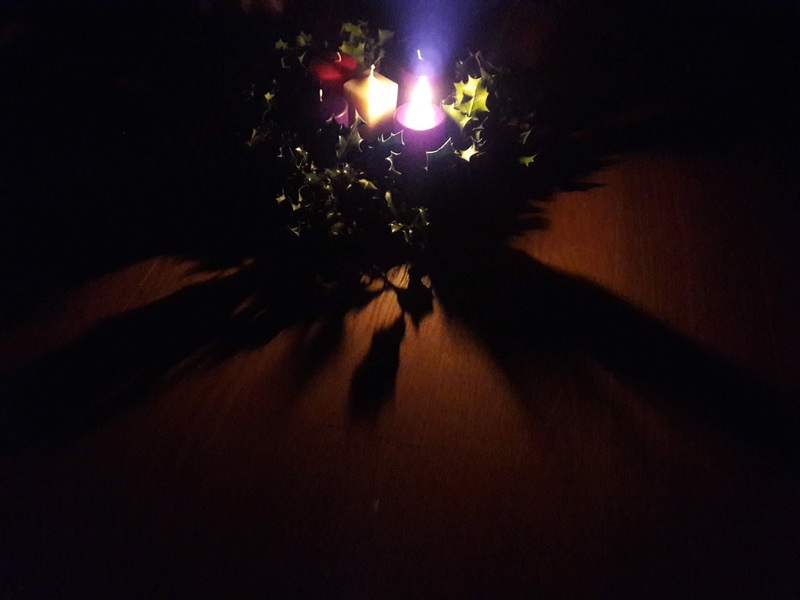 Advent, a time of expectancy and journeying, of stillness amid so much busyness, has begun. And, as with every year, it began not with fanfares and flamboyance, but with the simple lighting of a single candle - the first of four. Last night I sat in our darkened prayer room, watching as the single, solitary flame grew in strength and brightness, casting shadows into a steadily widening pool of light. I watched the darkness soften and glow, saw the light's reflection in windows. And I remembered that the first Advent candle symbolises hope - and this felt so very right. Because in these despair-inducing times of darkness we so need our sources of hope - in this case the reminder that a single, solitary flame holds the power to dispel and soften even the darkest of darknesses. The certainty, too, that this light will meet other lights, and multiply. The light shines in the darkness, and the darkness has not overcome it (John 1.5) - and will not overcome it. So where do I - where do you - find light and hope, especially in these dark times? And how and where is God calling me, calling us, to be hope and unquenchable light for those unavoidably dwelling in darkness...?